Hi 😁 it’s been a while I’m not sharing my ootd. Today I’ll share my monday ootd for you. 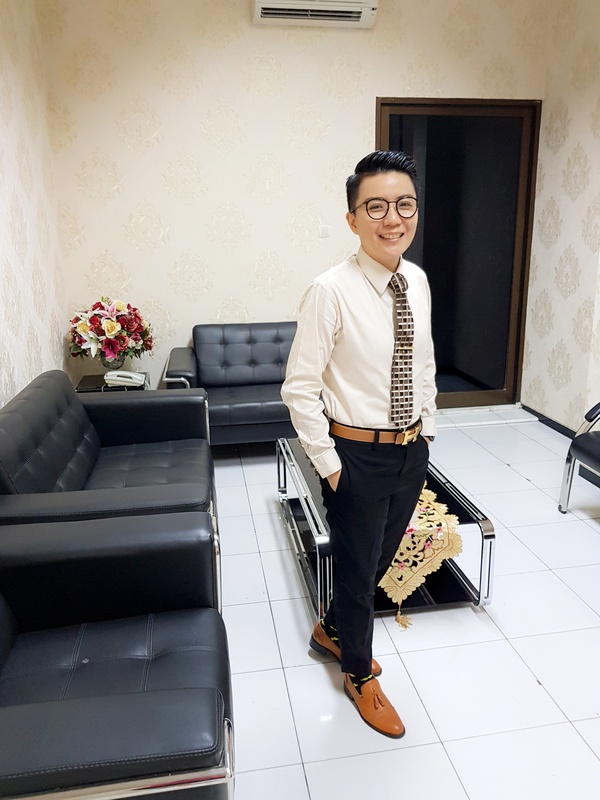 I am wearing a cream long sleves with brown tie in square motif, for the accessories a put a gold bullet tie clip from dapper & classy (ig: dapper.classy_collection). Today, I put on my light brown shoes to put accent for my black and cream long sleeves. This is the full appeareance when I put my blazer on. 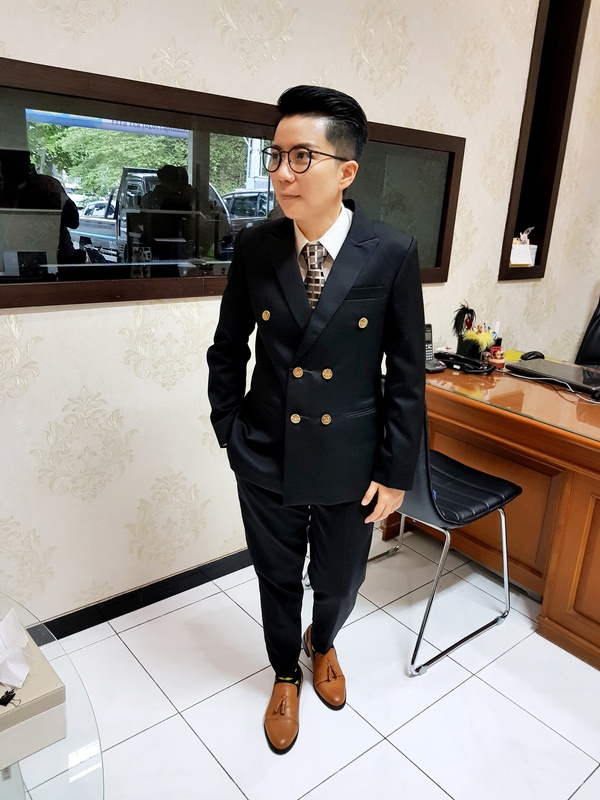 This one is my newest suit, I asked the tailor to put gold coin buttons to give accent to the black colour. 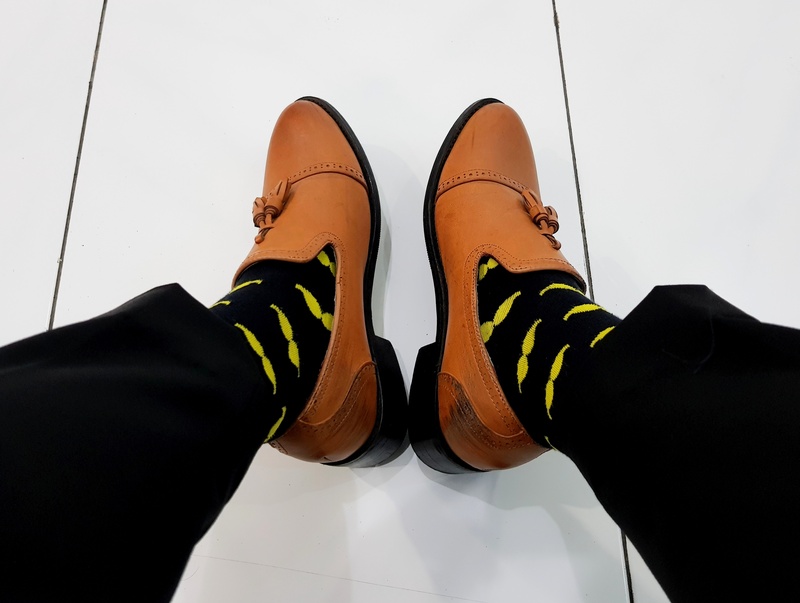 Well, the last but not least is my socks 😉 I wore black socks with yellow mustache motif to put colour on my black suit. Have a great day 😁 everyone. You definitely have a refined sense of style… Looking sharp. I especially love the mustache socks.